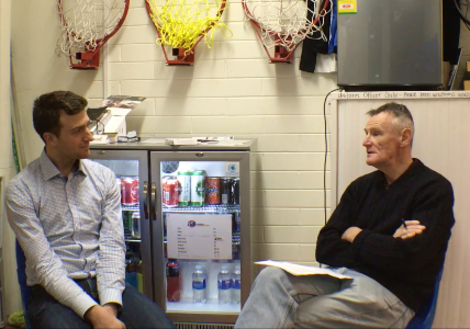 The namesake of our 'Henry Cooper award' shares all things basketball with a focus on the 70's and 80's at the Melbourne University Basketball Club. Highlights include our involvement playing in the top league in Australia, our first olympic representative from the club (Ray Watson) and our 12th place finish in the national club championships of 1974. Henry played a pivotal part for our club in both a playing and coaching capacity, in fact he was active as a player for 37 years and since hanging up his MUBC singlet in 2009, he can still be found running the lanes on Tuesday nights at MSAC with the skywalkers. Active player for 37 years, from 1973 through 2009 inclusive. Played a total of 2,500+ games. Played at all levels in the club, from F grade in the VBHBA competition on Thursday nights, through to VBA division 2 and Inter-varsity. Attended 13 Inter-varsities, 5 playing, 1 supporting, 7 coaching. Coached men’s teams at all levels, and women’s teams at many levels. Committee member as Social Secretary, Treasurer and President. MUBC Distinguished Service Awards 1992, 1998. Joined MUBC at the O week table. 6 men’s teams, 3 women’s teams. Mal Speed takes over from Steve Pearson as men’s head coach. Men’s firsts return to VABA division 1. Finish 12 out of 24 in the Australian Men’s Club Championships. First game in the men’s thirds. Start coaching the lower part of the men’s club, this continued for about 11 years. First tournament at Swan Hill. First game in the men’s seconds. Men’s first’s exit VABA div 1, Ray Watson takes over from Mal Speed as men’s head coach. Coach of the lower order men’s teams. First game in the men’s firsts, with John Campbell. Won club Most Improved Player award. Completed 10 week Beginning Basketball Coaches course. Playing coach of the men’s seconds. Coach of men’s I.V. team (win, also anchor of the winning boat race team), sometimes coach of men’s firsts. Committee member (President until AGM). Coaching (part) men’s first’s, seconds. Playing, coaching men’s firsts and seconds. David Zborovski replaces HC as men’s first coach. I.V. team member, winning team NSW-Macquarie. I.V. team member, U.N.E. in Armidale. Coach men’s I.V. team, UWA. Coach men’s I.V. team, La Trobe. Disappointing. South Pacific Universities Championships in Suva. Coach men’s I.V. team, Melbourne at Swan Hill. Disappointing. MUBC representative on VBA General Council. Adelaide I.V. coached by Rick Driscoll. Brisbane I.V. coached by Mal Short. Coach men’s I.V., Sydney at Port Macquarie. Pilot’s strike – no show at I.V. in FNQ. Coach men’s I.V. team, ANU in Canberra. Coach men’s I.V. team, Flinders in Adelaide. Knocked out by Wollongong. Coach men’s first’s – last year as coach. Coach men’s I.V. team at regional qualifying (V.U.T.??) at Albert Park. Unsuccessful. Playing VBHBA / Melbourne BBA/tournaments. © Melbourne University Basketball Club 2019. This page was last updated by smoke on August 9th, 2016.